We are just a few days away from Christmas and as luck would have it my brand new set of pressed nickels showed up from Anaheim. These annual tradition at the Disneyland and California Adventure have become something collectors look forward to each year. Thankfully I had a friend in the area that was able to press me a set and ship them back so I could share them with everyone. First up is the set available at Disneyland. The machine can be found at the Main Street Penny Arcade. The images include Season’s Greetings Mickey 2016, Season’s Greetings Olaf 2016, and Happy New Year Mickey Ornament 2017. Each coin also says Disneyland Park. 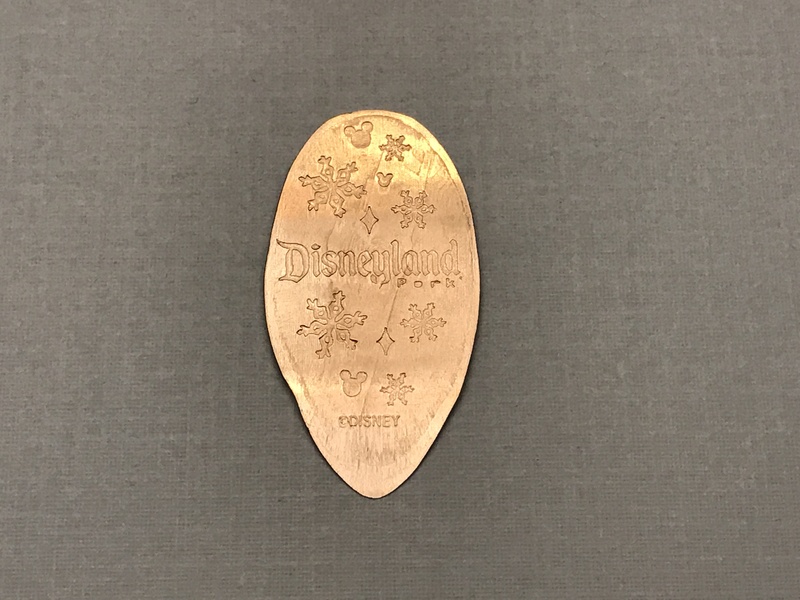 The back of these coins has a nice backstamp with Snowflakes and Disneyland Park printed in the middle. The second set is available over at California Adventure and can be found in the Los Feliz Five & Dime Store. 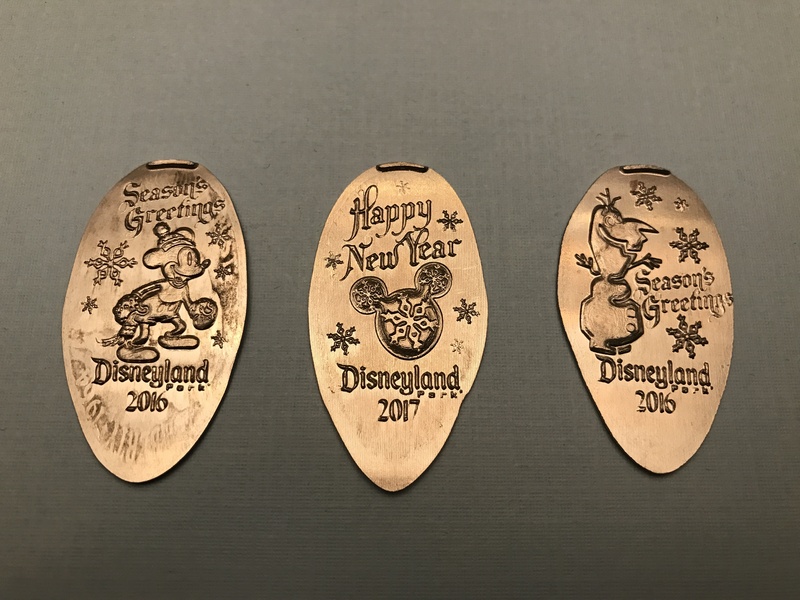 These coins include images of Happy New Year Carthay Circle 2017, Season’s Greetings Lighting McQueen 2016, and Season’s Greetings Frozen’s Anna and Elsa 2016. 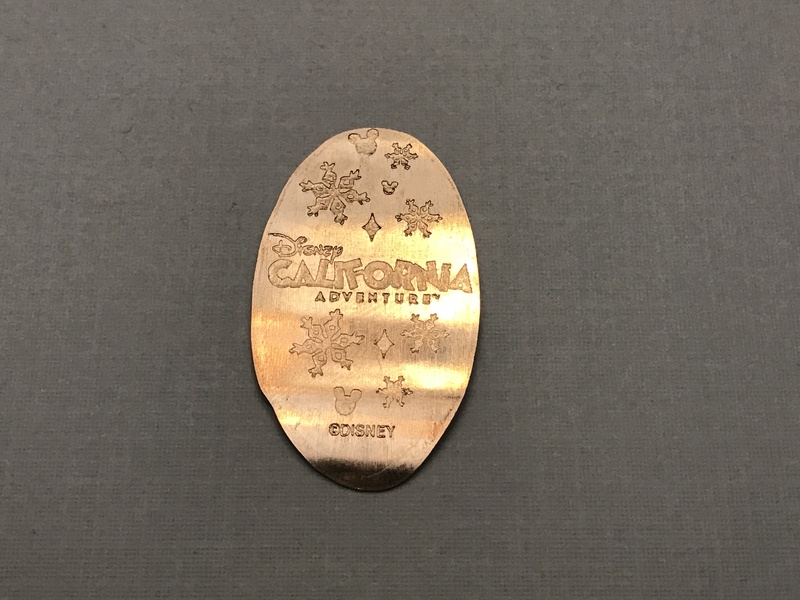 Each coin also says Disney California Adventure. the backstamp for these coins is very similar to the other set. Snowflakes surround the Disney California Adventure logo. 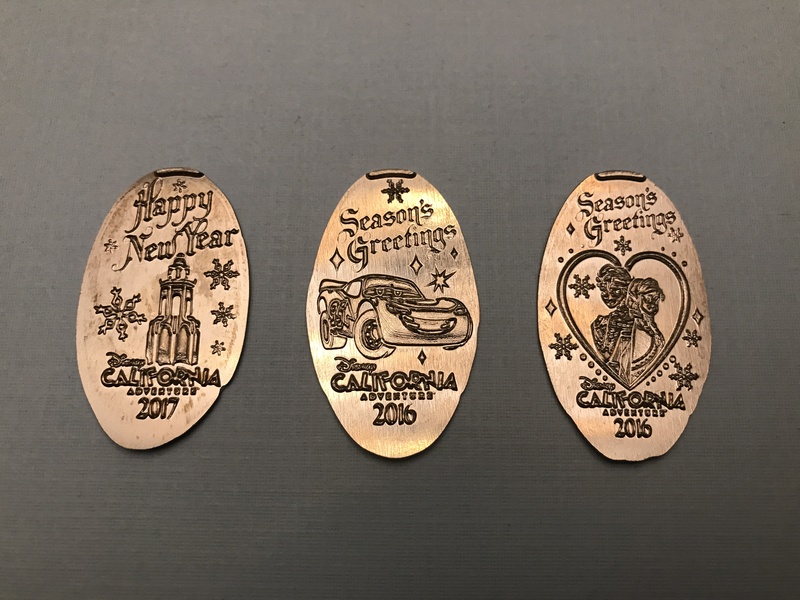 Another year has (almost) come and gone and these new Holiday coins were definitely worth the wait. Nice detail, and being pressed on Nickels makes them just a little more unique. These are only available for a limited time so make sure you pick up a set, and get ready for another great year of pressed coin collecting. Have a very Merry Christmas, and Holiday season! !